Every now and then, I get inspiration to create an artwork. Such a moment presented itself last evening and it became my short spiritual journey. 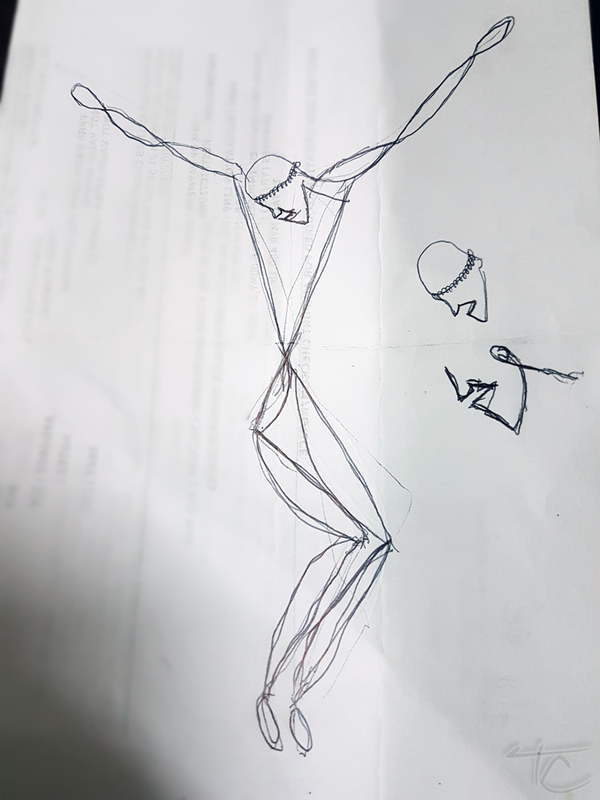 And this is the story of “The Minimalist Christ”. 4. 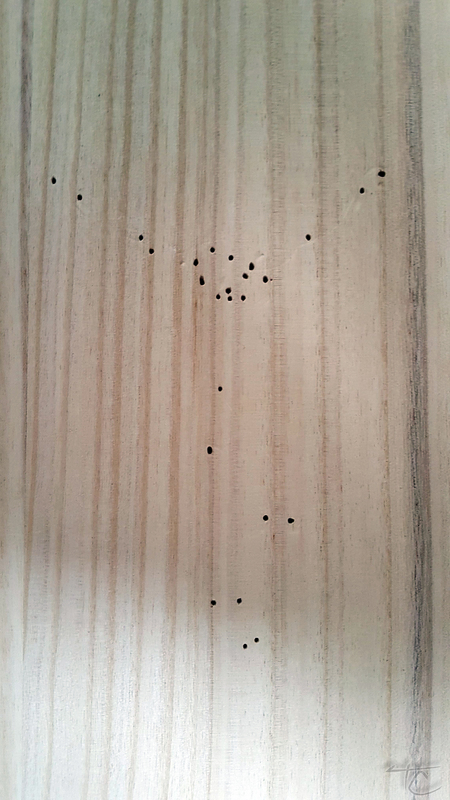 I started “nailing” Jesus to the plank…. 6. 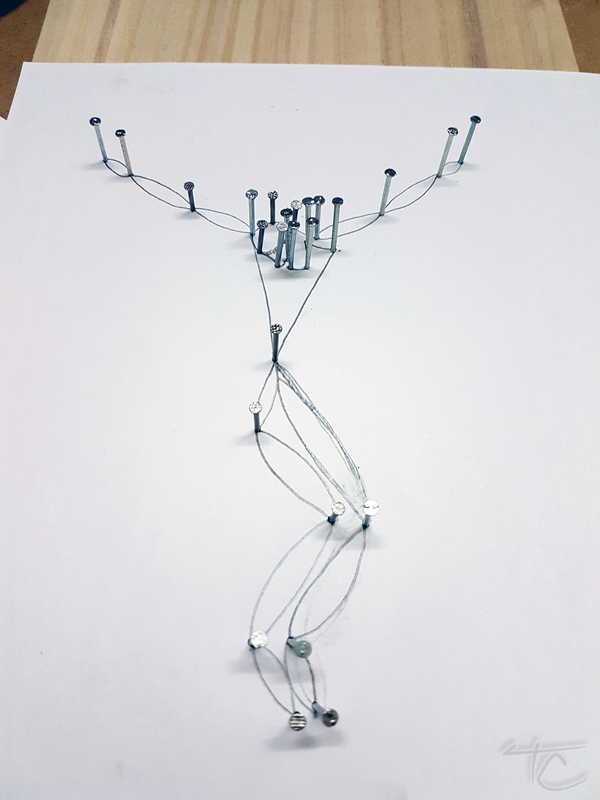 The nails did not work in helping me shape the image I had envisioned so I started twisting and turning the wire using my hands. Nothing seemed to be going as planned. And in the end, something prompted me to end my work with a heart. Not a bad idea since we are celebrating Divine Mercy (Sacred Heart) Sunday. 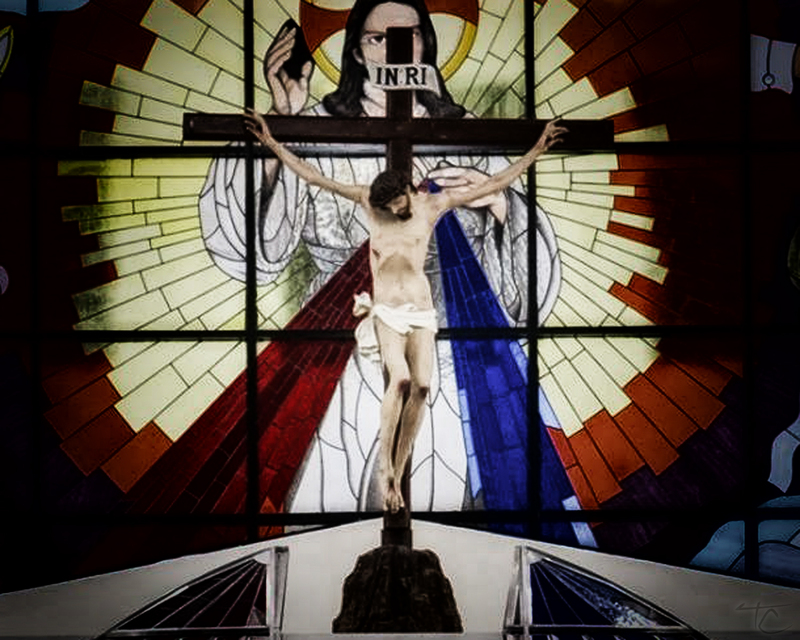 Moral of the story is, do not emphasize on the crown of thorns but on the sacred heart instead. Love and not hate…. 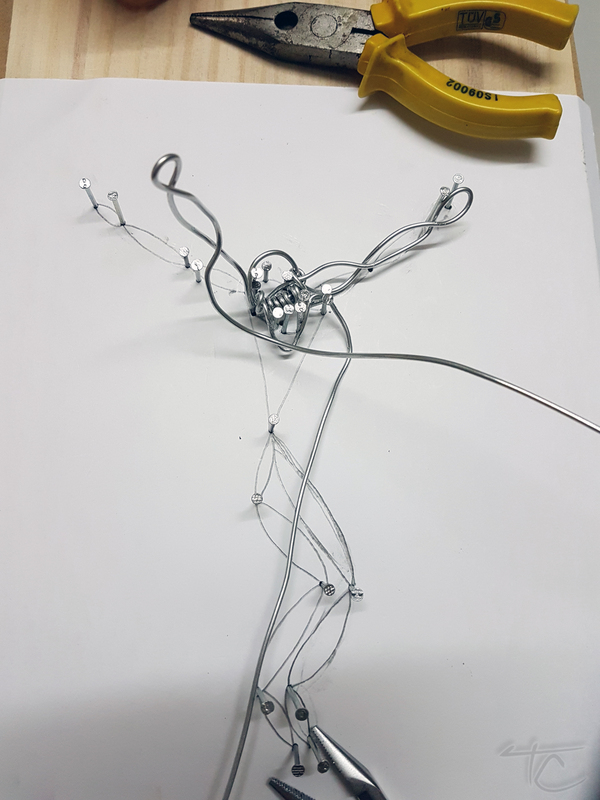 This was done using a single line of wire without breaking. This is not the final product. 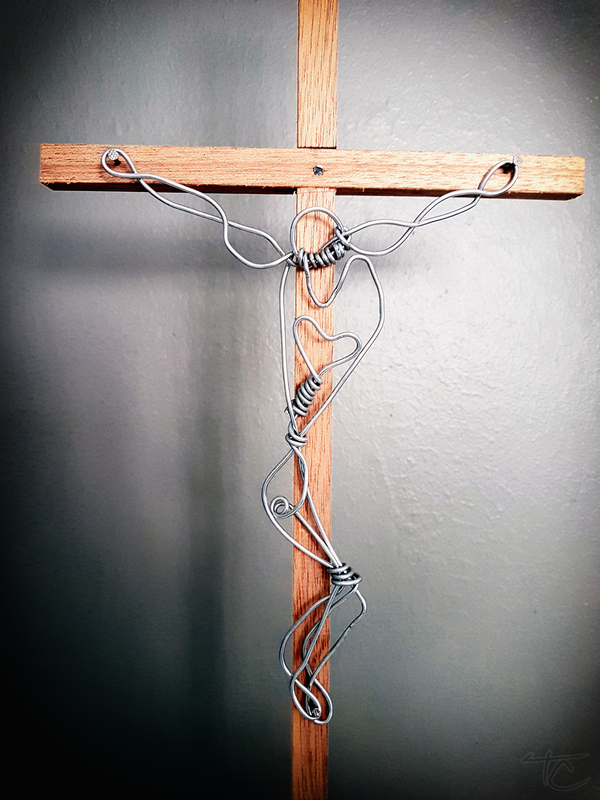 I am looking for a cross that will match with the wire sculpture. 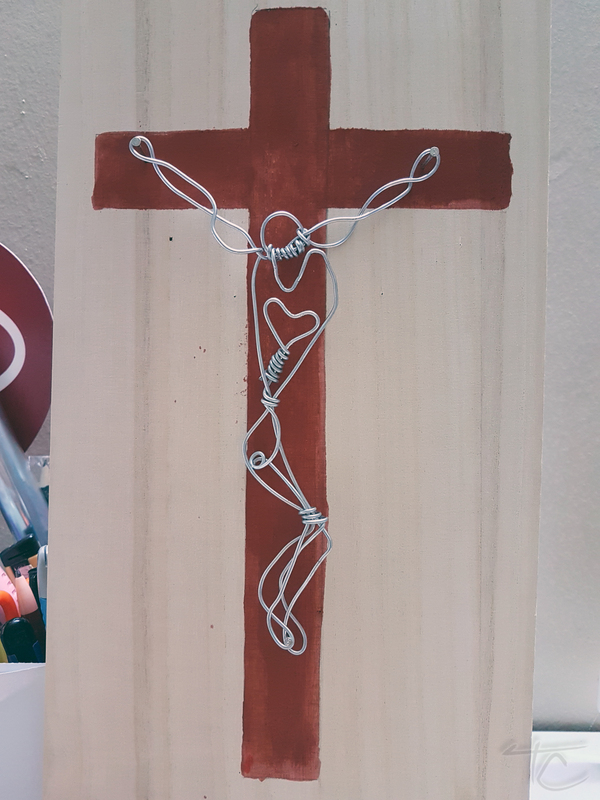 I painted a cross on the wooden plank as a concept to see how the wire sculpture would look like on a cross. 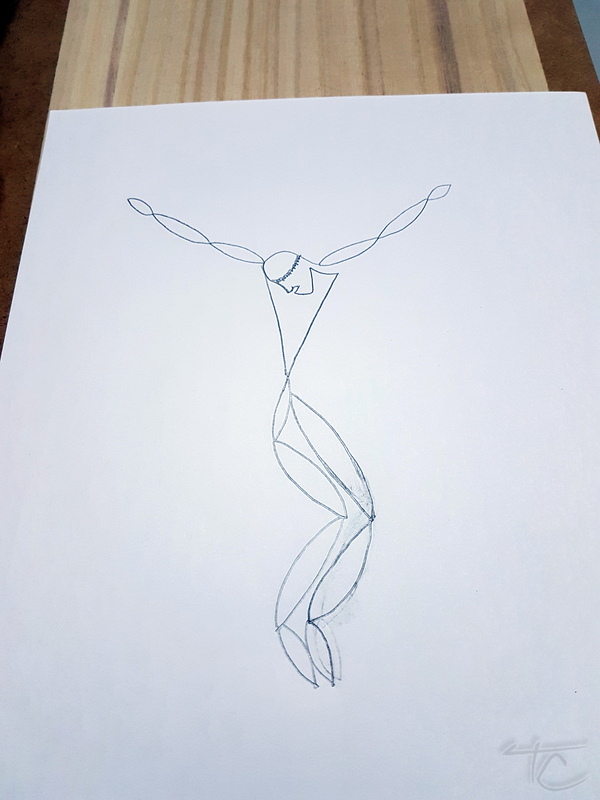 I then decided to name this artwork – “The Minimalist Christ”…. 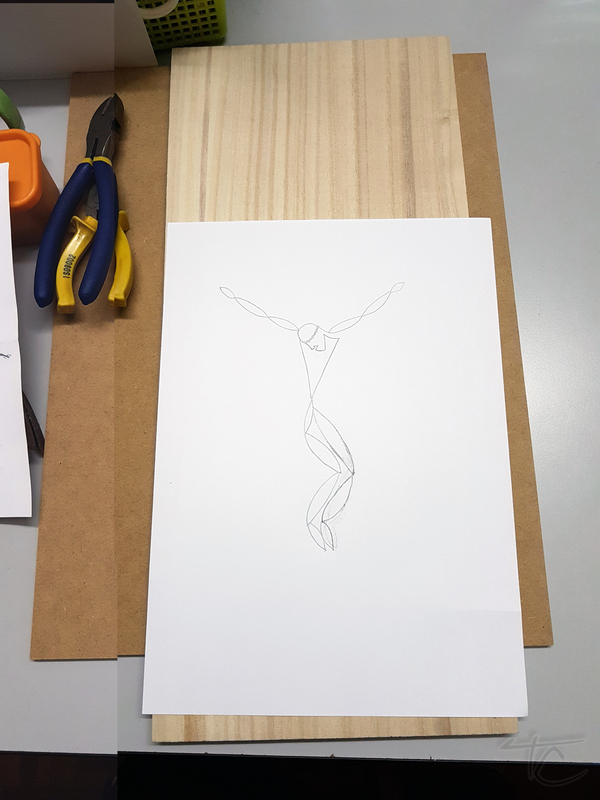 This morning, I went to the hardware store to get some wood to make the cross and to complete the artwork. 8. It is done and complete. First of all, I would like to wish all of you a Happy and Blessed Easter! Indeed, the reason behind the celebration of Easter is the reason why Christians continue to exist and believe in the faith founded by Jesus Christ. 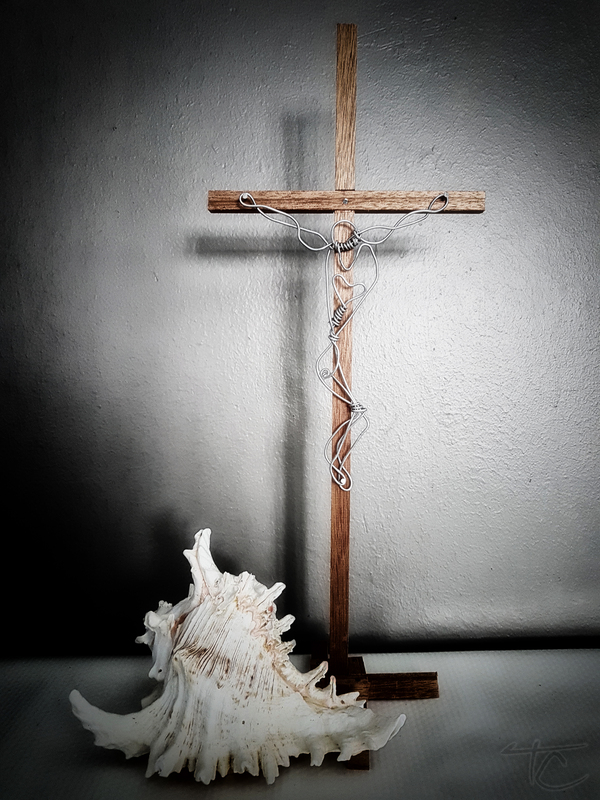 For many moons now that I have observed and practice the faith, I have always struggled living out the Christian values beyond the walls of the church and have wondered how it can be done. Unlike others, my approach may be somewhat “mashed up” or perhaps it is a little “fusion” in nature. Nonetheless, I have always tried to live out the faith in my daily life as best I can. Trust me, like many I have two different personalities while I am in a “holy” place like the church and outside of it. In my opinion, it is very easy to serve in the church while it is a different story outside. Speaking for myself, living out the faith outside of the church is a real challenge and subconsciously (or by the prompting of the Holy Spirit), each action is preceded by a quick “self examination”. Though when done habitually, this comes naturally. Of course there are times when it is difficult to follow through the path of righteousness due to various circumstances. Since most of us spend substantial amount of time working as an employee, most of what I am about to write is pertaining to the approaches we ought to take as an employee while trying to live out the faith. If you are familiar with the “The Parable Of The Talents” (Matthew 25:14-30), I have a different view from how it was literally written. I don’t see it as so much of the master expecting multiple returns from his investments, but rather in “a means to an end” approach. Here’s a detailed explanation as to what I mean. First, noticed how the chimpanzees used certain skills to fulfill their needs. Are we any different? Remember going through the interviews to secure a job? Employers are always looking for employees that fits the organization’s goals but just how many goals are there? There is one and only one goal for any organization and that is none other than, PROFIT! As an employee, we also have our goals but it eventually boils down to SALARY (our form of PROFIT). In order for organizations to attain their GOALS (profit), they usually break the organization down into structures responsible for different roles that eventually adds up to what it takes to achieve the objectives. 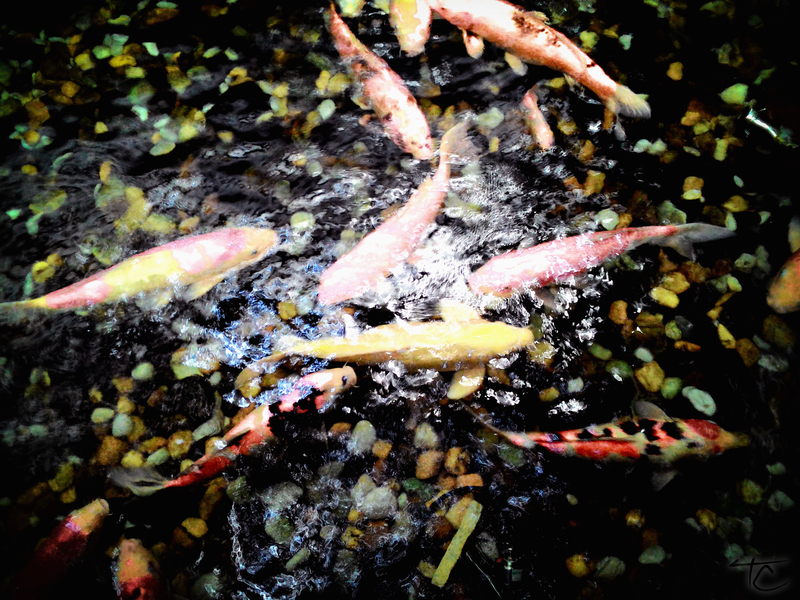 Now, the Parable of the Talents does not only teaches us to “multiply” our riches but it goes beyond that. Think about the servants who doubled the investments. What did they go through to attain such profits? They must have learned something in the process in order for them to double their initial investment. Perhaps they found a way to buy something at cost and selling it at a higher margin or may learned to farm and made a profit selling the crops? Whatever it is that the servants have done, they did well because not only had they survived but they thrived with their resourcefulness and in the process skilled up for sustenance. Likewise, in the corporate world, our focus is to use our talents in such a way it aligns with the goals of the organization and company that we work for. That is all that matters. All the politicking, resentment towards certain people and characters, gossips, and all other ill emotions related to our workplace are mere distractions and waste of our resources. And to break it down further, in order for anyone to be successful in their role, it is a matter of breaking things down to smaller tasks. When each task is performed well, it eventually contributes to the attainment of the company’s goals as a whole. Keeping an honest and open communication with your manager can bring about a good working relationship. Besides, if he is the one who sees the potential in you during the hiring process, he should be able to see it through that you will be able to succeed in your role. That is because, your skills and talents matched the role aligned to the organization’s goals. The first few months in a new job can be the toughest. Mainly because of the learning curve and getting used to the different approaches. There will also be a lot of distractions when many personalities get together. It is best to remain focus on your role and its alignment to the company’s goals. As time goes by and the more familiar one is with his or her role, “it keeps getting better”. The truth is, we will never be able to master everything that we do but it gets easier for us to be good at our work. “I learn something new everyday” should be your mantra. Be aware of the little achievements throughout the day and you will realize how much you learn on a daily basis. Take every task as an opportunity to learn something new. The only way to stay profitable as an Employee is to equip oneself with the knowledge related to his or her expertise. We must always seek inspiration and aspiration. Being envious of others will not bring us success. Instead, we need to look at the effort others took to be successful so that we can emulate and eventually be successful ourselves. Often times, we fall short of going the extra mile because we cripple ourselves with the negative perception of us being taken advantage of. “How come he or she does not need to work so much but yet get paid the same or more” is what we like to tell ourselves and we stop at just doing enough. Think about all the opportunities missed in learning something new and accumulating the wealth of knowledge for bigger roles. At the end of the day, it matters not how much one does but how much one learns while doing. It is not healthy to convince yourself that you are being shortchanged because often times, there are many intangible benefits that will bring about good things in the long run. We cannot deny the cruel fact that organizations go through the process of restructuring all the time. When roles no longer align to the company’s new goals, people are shuffled around or asked to leave. But likewise, when a company’s goals no longer align to an employee’s plans, the employee will then seek greener pastures. In the event of company restructuring, the amount of anxiety such events and exercises bring can be catastrophic not only to one’s career but also one’s personal life. While we cannot avoid such situations, it does not give us the reason to lose focus on our roles and responsibilities. Instead of being resentful, take heart for all the knowledge and skills acquired thus far that will help in future undertakings. Fear as we all know can be crippling. I have personally been through an environment where people are always talking about leaving for various reasons. It was very difficult to focus on what matters most that is, to use one’s talents to bring about profitability for the employer and subsequently ourselves. I then realized that such situations allowed our emotions get the better of us. We tend to keep feeding our emotions with all these distractions that it became unbearable to a point that following through with our responsibilities no longer seemed worthwhile. As a summary, there are two sides to being profitable. Our skills and knowledge not only help us to perform our tasks well, they can bring about profit for ourselves and also our employers. It will be good to remember and remind ourselves that it is our God-given talents that allows us to contribute to our community and in return, afford us “An Honest Day’s Work For An Honest Day’s Wage”.